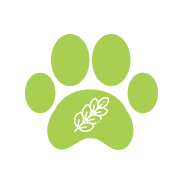 We’ve been described as an artisan dog treat company, and as specialists in tailor-made dog treats. Either way our team of 2 are passionate about healthy tasty dog treats. I am the researcher, buyer, baker, packager, and taster. My partner and family member is the chief taster, and the best public relations officer– Bella (our black Golden Doodle). I’ve always loved dogs. My first dog and best friend, Rover (German Shepherd/Dachshund cross) arrived when I was 2 years old. But when we moved from our rural home to suburbia, he stayed with my grandparents, who kept livestock and grew their own fruit and veg. So Rover continued to enjoy the lifestyle and diet (made from fresh ingredients), he was used to, and lived a long & happy life. We’ve since had a variety of dogs, including several Labradors and Golden Retrievers when I was a voluntary boarder for Guide Dogs. 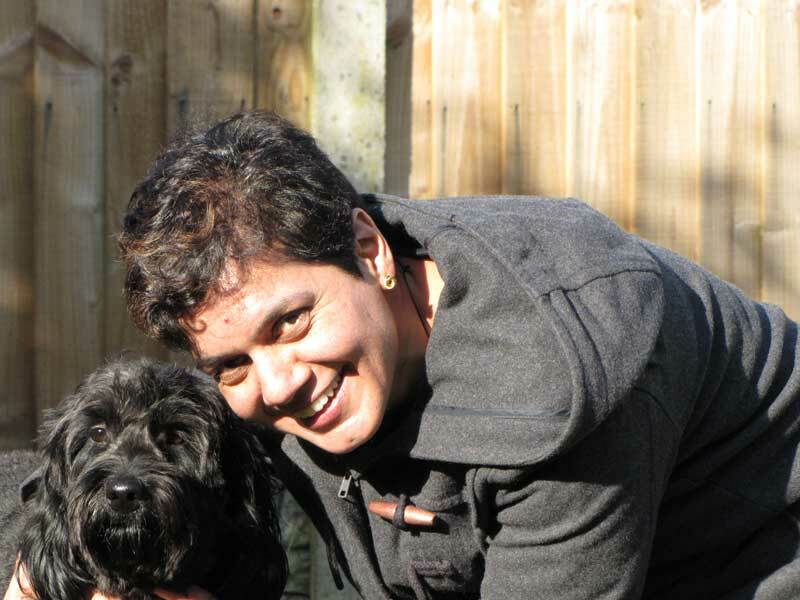 As a boarder I learned a lot about dog behaviour, diets and training. But it was when I was doing research projects from home that I came across Bella and we immediately fell in love with her. Soon after Bella arrived we joined puppy-training classes. They suggested hotdogs as training treats, NOT shop bought treats. I don’t give the humans in my family hot dogs, so I wasn’t going to give them to Bella! Using my experience and my research head, I created a healthy high value treat – liver cake. It was way more popular than the hotdogs! Even with the dogs in the parks – small & big, young & old, dry food eaters & raw feeders, even fussy eaters. Soon I was getting some very specific requests, such as gluten free, dairy free, fish based, Birthday Cakes, Christmas bags, the list goes on. All our creations have been led by what people have asked for, and taste tested on a variety of dogs, but only after receiving Bella’s seal of approval. I grow a lot of herbs and vegetables like my grandparents (without chemicals), and buy the remaining natural ingredients locally. All excess fat is hand trimmed off the meat by myself, and only natural fish oils, or a minimal amount of specific oils (used for their health benefits) are found in a few of our treats, so fat content is kept to a minimum. I am proud to say we have helped dogs with stomach problems, arthritis, fussy eaters to take medication, and aid weight loss, to name just a few. I am not a vet and these are only treats, but my aim is to make something that is good for a dog that they will love. We now sell to local dog friendly cafes, pubs, a dog health food store & more – all through word of mouth and recommendation, with 100% customer satisfaction and return customers (dog & owner).